By Jason Del Rey . Published on March 14, 2013. "Gawker admits defeat, tries to replicate Bleacher Report and Huffington Post." That's the headline of a PandoDaily article (column? rant?) from earlier this week by Bleacher Report co-founder Bryan Goldberg. In it, Mr. Goldberg talks about changes this week at some Gawker Media sites that saw Gawker expand its Kinja commenting system to let commenters create their own Kinja pages. Those Kinja pages aggregate a person's comments in one spot and let them create their own blog posts . Editors and outsiders alike can choose to "follow" each other's pages. And the editors of Gawker Media sites are now expected to pay attention to this reader ecosystem as it grows, linking out to Kinja posts from Deadspin.com or Jalopnik.com's home page as they see fit. The gist of Mr. Goldberg's post, it seems, is that Gawker is admitting that it can't grow without opening up its platform to outside contributors. And that Kinja is a way to boost traffic to help sell more ads. I ask Mr. Denton about the article over GChat. "I didn't read it," he said. But he clearly knew about the post (though he said he didn't know that the writer was a Bleacher Report co-founder), because he pointed to this Kinja post about the Pando article. And then he, unsurprisingly, dismissed the notion that Gawker is modeling itself after either Bleacher Report and Huffington Post. "The original idea of blog publishing was that writer and reader would be on the same level. That it would be a conversation -- not a lecture. People lost sight of that. We didn't," he said. "Kinja is designed to break down the walls of the ghettos. So that everybody -- editor, writer, source, subject, expert, fan -- can be a contributor." But Gawker will obviously monetize the community blogs, right? I mean, this is a business after all, yes? This line of questioning annoys Mr. Denton, or at least he says that it does. Directly making money from commenter Kinja pages is "an afterthought," he said. "I find the topic irritating. It's premature." The business model, Mr. Denton claimed, is something different. "The richer the ecosystem, the smoother the interaction between writer and reader, the more compelling our sites will be," he said. "We will insert ads in and around the Kinja platform and content experience where it makes sense, however, we will not place any ads on your blog"
"We will insert affiliate links into your content where it makes sense, however, if you insert your own affiliate codes then we won't remove them"
"Your content may be used in ads with full credit and link back to you"
And Mr. Denton's vision is not free of contradictions. He speaks of a historical "caste system" in digital media with different parties "cordoned off in zones on the page, unable to talk to each other in an intelligent fashion." Yet, in the new system, the historical highest class -- the journalists -- still play a major role in deciding which comments are displayed most prominently. Still, he said he's convinced the changes are "working." Jalopnik has linked to as many as six contributor posts a day, he said. Commenters, he claims, are gathering around the most interesting threads in comments sections now that only a few comments are display initially. 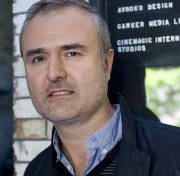 The changes will roll out to all of the Gawker Media properties by May. "I've seen something like this only twice in the last ten years: around the launch of Gawker and that of Defamer [which eventually folded into Gawker.com]," he said. "It's relatively rare that you can tell this soon that something is going to work." So that's it? It worked! Kinja is a success! Not exactly. A Deadspin update about Reggie Bush signing with the Detroit Lions meant to spark a Kinja discussion fell flat. "No dicussion here?" the writer asked. Further, measuring the changes of these moves won't be easy. How much more compelling is the comments section today vs. yesterday? That's pretty subjective. Do Gawker Media sites end up hiring some Kinja writers? That could be a less subjective signal. But, in the end, measuring whether the expansion of Kinja does indeed build an "ecosystem" and make Gawker Media's properties more "compelling" will likely come down, either directly or indirectly, to the two metrics it always does in digital media: traffic and revenue.